How does my Alexa rank get reduced day by day? This post explains “How does my Alexa rank get reduced daily” for my readers and newbie bloggers. The current Alexa rank of my blog is under 70K and it is reducing day by day which is a good sign. I started this blog in the month of January this year. Till now I have written up to 42 posts and have contributed 14 guest posts for same niche blogs. Few days back, I even updated my Facebook timeline with a statement – “Completed 40 posts with 80K Alexa rank in six months – I feel great”. I was humbled with the number of Facebook likes, wishes and messages from my blogging friends and influential bloggers. I even received few personal messages asking me “how you got good Alexa Rank?” and also “Are you specially doing any tricks to get it?” and so on. My only reply to the second question was a big “No”. Yes, I am not implementing any specific trick to attain good Alexa rank. Few of the newbie bloggers questioned me “What you used to do after publishing your blog post?” I summarized my activities briefly to them but decided that I should describe it in an elaborate manner to my readers. If you are a regular reader of my blog, then you might be aware of my favorite style of starting from basics. Yes, here, even in this blog post too! Alexa is a web information company which gives rank for blogs based on its health and traffic. Lower the number, better the Alexa ranking. What have I done to get good Alexa Rank? * Once my blog was set up, I registered in Alexa.com and added my blog to it. * I have installed Alexa widget on my blog and added the Alexa toolbar too in my browser. * I maintain a consistency of publishing 2-3 posts per week. I create unique posts and a WordPress Plugin “SEO by Yoast” helps me to publish the optimized blog posts. * I’ve written simple Alexa reviews for my preferred blogs and request my lovely blogging friends to do the same for me. * After publishing my post, I use Ping site named Pingler.com to tell the search engines that I have got a new post in my blog. * I update the FB and G+ fan page with my new blog post. * I make it a point to share the post in social networking and social bookmarking websites like FB groups, Twitter, Pinterest, Stumble upon, LinkedIn groups, Reddit and Delicious. * I understand the benefits of participating in blogging communities and so I stay active in Blokube, Indiblogger and Bizsugar. Recently I joined in Triberr too. * I have a good list of Dofollow and Comment luv enabled blogs with which I work on blog commenting. * I continue to contribute my worthy guest posts on good PR blogs (at least 3 per month). * I usually inspire my visitors to leave their valuable thoughts through the comment section with my blog posts and by replying to each comment with enthusiasm. * I never forget to share the valuable blog posts on my social networks. What are the missing treasured ways by me? As I’m a part time blogger, I can spend only few hours a day. It’s really hard to find time for blogging but I still doing it with passion. I know that I am missing some treasured ways to get good readers and Alexa rank. I suggest you to execute Forum participation and promoting your blog with content curation method to get good SERP and to perform well in the blogosphere. Yes! Yes! Check the reasons here! Why Alexa rank is important for bloggers? 1. To accept your guest posts, the influential bloggers might check your Alexa. 2. Alexa ranking improves the exposure of your blog. 3. Advertisers might look at this blog rank to check your reputation. 4. To prove that you are an expert in your niche. 5. Obviously, increment in traffic to your blog. Amazon is the founder of Alexa and it is a ranking based internet company. The Alexa rank is calculated based on the factors like traffic, backlinks, bounce rate and so on. Praise and support Alexa by installing Alexa toolbar & Alexa widgets and write Alexa reviews for your favorite blogs. Produce good quality content and maintain post consistency to have good Alexa rank. I know, am missing some genuine ways to increase my Alexa ranking! What is your Alexa rank? Did I miss to share any imperative way to reduce Alexa rank? I”m eagerly waiting for your wonderful thoughts through comments!!! Thanks for caring comment Martin, its good to read your Alexa experience too. Thanks for the tips. My blog’s alexa ranking is also developing constantly. I’m following some of your tips already and will follow the rest from now. 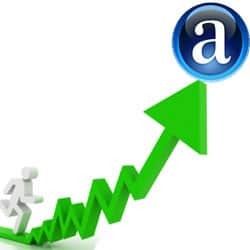 Its really good to hear that your Alexa rank is growing good. Sure, follow the tips and let me know the result. Well explained Nirmala. Alexa is really a great tool for bloggers like you & me. Helpful tips… Thanks for sharing your worthable experience. I like to share the real experience, bcoz I know the people would love it. Happy with your comment Nirmal, stay tuned here! Hello Nirmala Mam, all these points are really helpful to get good alexa rank. As you know my blog is only 5 months old but it’s alexa is like an inspiration for most of the bloggers. There is no secret behind this. I only follow the same way that you share here. And I’m totally agree with you that participating in forum is most effective and time consuming too. But I’ll try to be active there too to get best exposure for my blog. You are my great competitor bro, its hard to beat you in Alexa as you are an SEO expert. Thanks for those tips as well. My blog is now a month old and I’m doing everything possible just to reduce its alexa ranking every passing day. It is really nice that you are doing all the things already, hope you’ll get good Alexa rank. ITs nice to hear all these guru tips from you nirmala mam,,,As i have started my blog back in feb/2013. 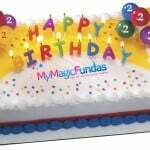 to calculate my blog age it will upto 5 months and several days…. my blog alexa is near now 21k and is reducing day and day. Nirmala mam would you accept guest post from mine. it is quite interesting to read your Alexa story and glad your Alexa rank is good. Thanks for sharing. Alexa rank is very important like what you said. I know so many sites checked on this when it comes to guest posting. Being a newbie,I always find it difficult to increase the viewership. Still not installed the Alexa widget but will install soon. I will implement the tips mentioned by you and hope to see good results soon.Even I also have limited time frame for blogging but still I happily manage it. 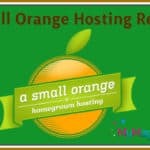 Thanks for sharing your blogging activities here. install Alexa widget soon and write Alexa reviews for the same niche blogs. Its good that you’re gonna implement my ways. Hello Nirmala Mam, maintain a consistency of publishing quality post is the most importent in this. Many of the bloggers i know follow post on a fixed time. all these points are really helpful to get good alexa rank. Thanks. Thanks for sharing your ideas Vishnu. Yeah, post frequency is most important to maintain good Alexa. Thanks for sharing your experiences and your secrets ..Your blog is ranking higher and higher day by day just because of your hard-work .The tips you’ve shared will help many bloggers. Am working hard to improve my blog and some influential bloggers are guiding me to proceed in the right path. Glad to hear that my shared tips would help the bloggers. The results for your blog itself depicts the correct mechanism to adopt in order to achieve a good alexa rank. Being Active on Forum can help a lot but I have been absconding from it a while, will try this method. Yes, i too miss the Forum participation, will implement it soon. I have never come across pingler.com, and I’m gonna check out pingler. yes, pingler is really good and use it to ping for your new blog post. 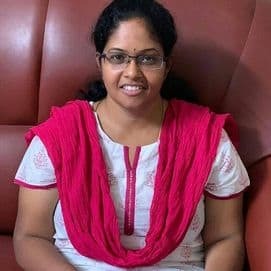 Congrats for getting so much success Nirmala..I know that you are working very hard..You should conduct a hangout too in which you should let other bloggers know your success story..Am following your blog now regularly as the improving alexa rank is making your blog very popular.. Thanks for your wishes and suggestion. Sure, will try to hangout with newbies. I bog is just one month old and my Alexa rank in India is 20k and in World is 4.28 lakh. I am also following many of your way and from now I will follow rest. I have one question in my mind, is my Alexa good, as my blog is just one month old? Its good that you are already following some genuine ways to improve your Alexa. Is your blog one month old? Just work on it regularly. No need to worry about Alexa rank much as of now. Maintain post consistency and try to get good social signals for every post. Thanks for tips, although i personally feel Alexa Rank is worthless, but it helps a lot in fetching advertisers. Yes, you are right, Advertisers would check the Alexa rank to promote their products. Alexa rank is very important and i am happy to see your blog in good ranking. thanks for sharing such a nice guidelines for us. I have to admit I don’t know that much about Alexa. I didn’t know that you could add your site to it. I am going to be doing that today. Congrats on accomplishing so much as a part-time blogger. Thanks for all these tips. Just register in Alexa, add and claim your blog in it. Write Alexa reviews for same niche blogs and request your friends to write the same for your blog. Do regular blog updating with quality content and stay active in social networks. This is the one and only area. I am always lacking behind. But your post makes me 100% now. Thanks Nirmala for this excellent post. Bloggers never reveal their secret of success. You’re the only person reveal most of the secrets for your success. I appreciate your hard work, dedication towards blogging. I am really proud you’re from my city of Chennai. Yes, you know very well that am performing blogging with devotion. What is there to share the secret of success. I read these tips in many blog posts before few months and am just implementing it right now. wow! really like the post. it help me so much found it through facebook and I am glad to hear all the strategies you are implementing! Thank you for this..
Its really nice to hear that my Alexa post helped you a lot. Glad you’re gonna follow all the tips given by me and let me know your Alexa rank after few days. Thanks for coming here, stay tuned here to read my magical articles :). Ranking is very important for any blog. Nice information share here. Glad to read this. nice and informative blog i will say this was. alexa rank is very good thing and maintaining its consistency is again a tough job. even my sate is coming down day by day and i am very happy with the stats. Thanks for sharing your Alexa experience Apoorv, and glad with your appreciation too. Wow less than 1 lakh in just a few months that too just publishing 40+ posts. You are better than Many people out there. Thanks for the tips.Will follow them evrytime from now. I prefer quality posts and it usually takes a day to create a new bog post. Thanks for reading my post Amaan and happy it would help you. and Again I missed the opportunity to comment here on the top 5 because of preparing the content for my site. I am feeling very sad about this but also hoping that next time I will definitely get success. Now if I talk about this article then I have already mentioned you about this on Facebook also. No Doubt! this article deserves these 45 comments with including 1 of mine! Good to see your passion in blogging and commenting here with feelings. It happens, but is ok, am happy with your presence. I too used to try to be the first commenter of few specific blogs, but I can’t due to my blog post writing. Welcome to my blog and thanks for your boosting comment. thanks for sharing this Alexa tips. i am just started a new blog. and working for increasing alexa rank. i will apply all this tips and some other things too . Glad that you’ve started a new blog and gonna apply my tips. Keep coming here to read more stuffs. 4 months ago I started blogging and i followed all tips as you mentioned above and now my alexa rank is 65K in worldwide and 7K in India. Well done, keep it up. this post will really helpful for newbies. I know you are a passionate blogger and active on social networks. Keep doing the good work and glad with your Alexa rank. What a great resource Nirmala. You’ve inspired me to do more guest blog posts and to join a blogging community! 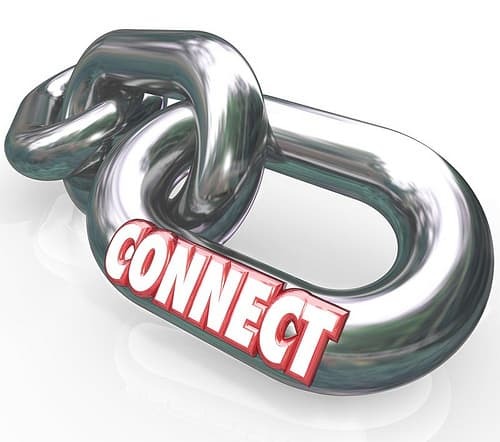 Yes, guest blogging and blogging community participation would help you to get good exposure and Alexa rank. 40 posts with 75K Alexa rank in six months is really something, keep it up Nirmala! Welcome to my blog and stay tuned here to read some magical posts. Ah! impressive. With 40 article you have reached 75k in Alexa. What to say…!. Thanks for these effective tips..
Hope my post are with good depths and it might be helped me to get good Alexa rank. Very useful tips for newbies like me. Keep posting your awesome tutorials. All the best for your blogging career. I know your are a passionate blogger and working hard for your blog. Am really happy that my shared tips are helpful to you. Keep blogging by learning the required stuffs. Wonderful job Nirmala. Regularity, quality content, marketing always help to reach success in blogging. Well done! Thanks for adding value to my post Priya. Even am busy @ home, i am just maintaining the post frequency with good quality for my readers. Am really happy with your appearance, keep doing the same to leave your valuable suggestions. Looks like someone is doing theire homework the right way. Keep it going girl. You got lots of potential! Many thanks for your bossting comment. Its really hard to get time for me to do blogging but I still doing it with passion. Thanks for sharing your real experience here and glad to hear that you’re gonna use my post as a reference. My wishes for you to get good Alexa rank soon, stay tuned here! Wow, amazing and very helpful post. I will try to absorb as much possible so I can reduce Alexa rank on my blog. Thanks for reading my post and glad you’re gonna execute the ways am following. Yeah, writing Alexa reviews on other blogs of your same niche would help you to get good Alexa rank. Sure, will visit your blog and do the needful. Nice post about how to increase alexa traffic rank,, really awesome it is great. Keep visiting here to read my real experiences! Yeah, i used to take care of my every blog post in such way that it should be useful for my readers. It’s awesome to know that your alexa rank is getting very good day by day and you also shared your tricks and what you did To get that.. I want every passionate blogger should have a good Alexa rank for their blog to perform well in the blogosphere. Though the Alexa ranking may not be such an accurate score due to their information gathering methods in ranking any site, it is mainly a measure for improvement and advertisers really consider it in choosing whether to advertise on a site or not. I can see you have achieved a lot in just few months of blogging, the lower it gets the more competitive it becomes. I will advise you intensify your efforts even more so as to be among the first 10k before the end of the year. Many thanks for your advice Nwosu, sure will try my best as you told. Am pleased with your views related to Alexa rank, hope this adds value to my post. Thanks for guiding and supporting me to do an enriched blogging. Hope to see you break into the top 50 soon! Thanks for appreciating me Ambika! Sure, will try to reach the good level as you told. I don’t really give much importance to the alexa rank. I do check the alexa rank of most of the blog I’m visiting but that’s just the number. Sometimes, a blog receiving thousands of visitors may have 2L alexa rank and vice-versa. I’m already following most of the points that you’ve mentioned. That’s probably the reason why my alexa rank is so low. Thanks for speaking your views related to Alexa rank Pawan. Its good that you are doing some genuine blogging activities like mine, keep it up! You have written a great post. Guest posting is one of the best way which will help you in lowering the alexa rank of your website. I also am trying to lower my alexa ranking by guest posting at various forums and moreover you also get backlinks with the same method. Thanks for providing a great article. I will try other methods too. It is really good that you’re gonna try some methods of mine. Yes, I too glad with the number of comments for this Alexa post. This is simply a nice job well done. I see you’ve been working so hard on your blog and it has paid in the long run. Thanks for this article, it would serve as an encouragement to newbie bloggers. Yeah, passion in blogging making me to work hard. Well while I was reading your article I got confused with your statement “That my Alexa is reducing from 75k”, and I was like…how can this be too cool for any blogger. Then I thought mathematically that Oh..!! Here the blog fame is inversely proportional to the Alexa ranking. Jokes apart, to built such a quick and remarkable ranking in such a competition is not any easy task to do. Thanks a lot for sharing this secret. Yeah Charmie, lower the number, better the Alexa! This looks promising! I’m gonna try to use Alexa ranking next time. Maybe this would help me too …. Feels great to see you improving your Alexa continually, it’s now on 65K! Great achievement! Because Alexa, Google PR and DomainAuthority are the most important metric for any blogger to monetize blogs, it is good to attempt improving them. Its ok, Suresh! it happens sometimes. Am feeling good to get the appreciation comment for my Alexa rank and am not doing anything specific to improve it. But it is good!. Hi,thanks for sharing these tips,i do most of what you mentioned,but my alexa has worsened over the last few months,what could be the cause? Alexa rank is a measure of various factors like depth of the post, consistency, your visitors and their browser etc. Hope it might be any one of these. Wow, congratulations. Both your blog and our blog are of the same age. We started our blog on 1st of January, and we’ve published more than 100 posts (or to be exact, 5 articles in average for every week). I personally use Alexa as my personal target. By knowing that my Alexa ranking is lowering, I know my blog is getting better and better. Thanks for sharing your blogging and Alexa history with me. 5 posts per week? Seems good and hope you are a full time and professional blogger. Thank you for sharing what you did to get a good Alexa ranking. I also implement a lot of the things that you do. I’m glad to see that your score has gone up. Keep up the good work! Its really good that you are implementing some blogging stuffs like me. thanks for sharing such a good idea. this will really help full. Hi Nirmala , you clearly explain me why Alexa is important for bloggers. I had joined social media websites to increase my blog traffic. Triberr, blokube , blogster are my favorite communities for promotion. Thank you for your amazing guidance, I am a newbie blogger and i have been doing extensive reading to maximize my effort with every single step. i am now trying to decrease my alexa rank. as you know it is important to get some adviretisement banners. anyway, thanks for the great post. it will be very useful for me. I normally don’t focus a lot on Alexa. I haven’t installed the Alexa widget on my blog. Now i understand the importance of Alexa rank and how it’s work .Thanks for sharing. Alexa Rank is such a big deal for bloggers of every niche. Thanks for these useful post. This post is inspiring me to improve my Alexa rank too..
yu see this website http://www.manipalworldnews.com. in alexa.com in shows 1500 page-views per-day and next day when searched it shows a different. so i somewhere feel its not showing the proper result. I don’t think alexa toolbar help in anyway ? if yes then how ? i am so thankful to your post regarding how to reduce the rank of alexa. every one will see alexa rank to determine weather the site is trusted or not ,or to find how famous it is.so to reduce rank in such a great website your tips will helps to ebery ine those who who wants to be a successful blogger.from now i will follow your guidelines madam….. Thanks for writing such a detail article about alexa ranking. Alexa provides world wide ranking which definitely reflects a reputation of a site. I am facing a problem since 2 weeks. Alexa toolbar is not working with my firefox browser. Can you please help me to solve this problem? Thanks in advance. Thanks for reading the post Sakib. Yes, Alexa matters a lot and it is much related to the traffic of a blog. I have no idea about Alexa toolbar for Firefox, I’m using Chomre Browser. Reinstall your Firefox and try again. Nice to see this post in your blog. I am also trying to increase my alexa rank but i don;t know properly on which factor alexa provides ranking for our blogs/websites ? These day i am getting traffic from Search engine and Social media both but mostly from Search engine, so alexa is not giving respect for blog .. Why ? These many Days I was struggling to make a good alexa,Still struggling but From now I don’t think so it’ll happen,Your post is just amazing,you’ve listed all the practical tips that truly works. You have covered all the essential points to decrease alexa rank, thanking you a lot. Thanks for sharing helpful information on alexa ranking. Same condition here my alexa rank is day by day increment but not understand what to do for stop this. Now after read this post i’m follow your techniques. Thankyou , for posting such an valuable information ,i usually face problems in improving my Alexa ranking but i think from now your post will help me lot in impoving my Alexa. Thank you for sharing valuable information in this post to improve alexa ranking. Information and tips are really very helpful.